In 2015, Charlie, aged 8 was diagnosed with a brain tumour called a medulloblastoma. He endured emergency surgery to remove the tumour and then many rounds of radiation followed by 4 stem cells transplants. He was recovering well, until the devastating news in March 2018 that the tumour had returned in two places on his spine. He's since had 2 further rounds of chemo which have not halted the growth and the tumours have unfortunately doubled in size during this period. Options on the NHS are now extremely limited and the chance of a clinical trial is slim. Cyberknife treatment could offer real hope in this urgent situation. This is a precise radiosurgery which is painless and non invasive but comes at a cost of £30,000 - which the NHS wont fund. Charlie's family are desperate for him to have this treatment as soon as possible before his condition deteriorates. This treatment is offered in Europe and America with great results. Any help would be much appreciated for this much loved, cheeky and very brave little soldier! It's been a tough few weeks for Charlie. The stem cell transplant process was always going to be the worst part due to the extremely high dose of chemotherapy drugs given. I'll spare you the details of all that Charlie has gone through but the positive news is that his blood counts are increasing and the stem cells are starting to do their work. Hopefully he'll be able to come out of isolation and return to his usual ward in the next couple of days. All being well he should be able to come home and celebrate his missed birthday around 2 weeks later. Thanks again for all the continued interest and support. Some good news from Charlie. His latest MRI scan shows only the very smallest trace amount of cancer left. His doctor is very pleased and is happy that Charlie can stop his current course of chemo and start the stem cell transplant process. This is a very high dose of chemo followed by the reintroduction of Charlies stem cells which were harvested in December. Charlie will be very poorly after this dose of chemo, unlike what he's had previously so it's not easy but does mean his treatment is coming towards the end. They should be in Turkey for around 5 weeks waiting for his immune system to rebuild. 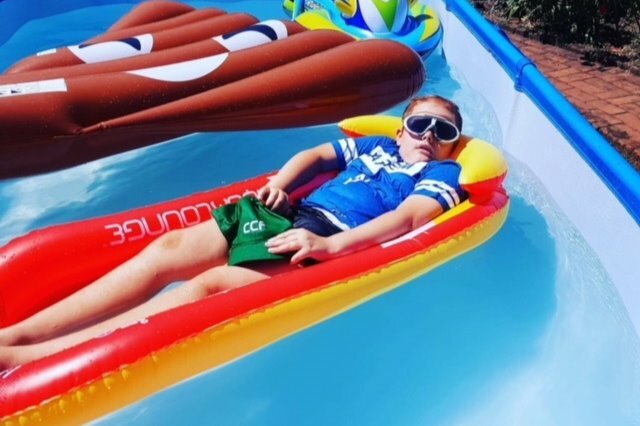 As something to keep him positive during this hopefully final hurdle the lovely people at Make a Wish are arranging for Charlie to swim with the dolphins in Florida in May which he is very excited by - they weren't so keen on his first suggestion of a skydive! Thank you so much for all of the new donations they are so so much appreciated. It is Toni's wish that after Charlie's treatment ends she helps to make changes to how other families, given devastating news, are treated and that help and advice is available to all on how and where you can access potential treatment options not currently available on the NHS. I have some great news to share with you all. Charlie had his MRI scan on Monday and his tumours are shrinking!!!! The doctors are very happy with what they have seen so this is a huge relief. 2 more cycles of chemo and then on to the stem cell transplant. Thanks again to everyone who has helped to make this happen for Charlie. Words can not express the gratitude of his family. I cannot work out how to upload Charlie's Story from the Stand up to Cancer event but if anyone does want to see the video please contact me through here and I'll send you the link to it. We have had some additional donations that haven't come through the gofundme page so we are edging closer to having the full amount needed to complete the treatment. 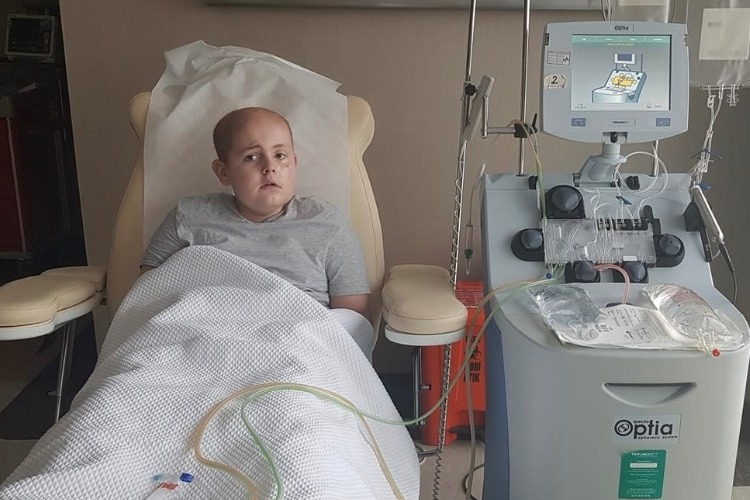 The stem cell transplant is going to add quite a large amount to the costs but the doctors have advised this will give Charlie the best chance possible.